This is a new restaurant/club that has just opened inside the new Toyota Music Factory in Irving, Texas. 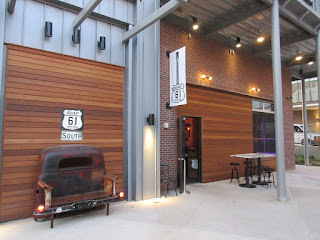 The grand opening is happening next Thursday but I have been attending their "soft opening" events to see some bands I enjoy. They are still working bugs out and they have a lot of new employees, many of whom seem to have no previous bar or restaurant experience. 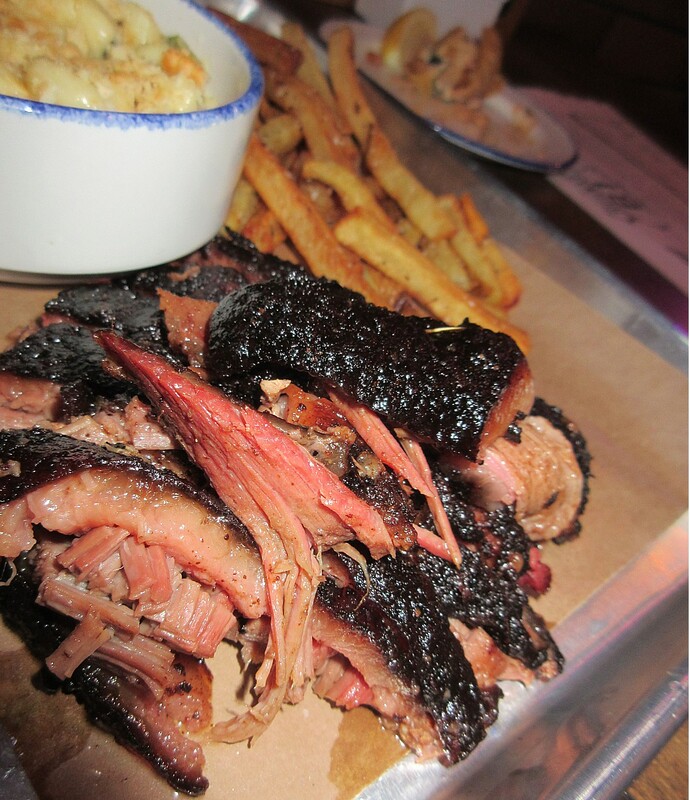 They do seem to have smoked brisket down. On my first visit I ordered the 2 meat plate of brisket and hot link. The hot link was neither hot in spice or temperature, but the brisket was excellent. It was sliced a bit thick, probably because it was slightly overcooked, but it had great moisture and some mighty fine smoke flavor. The fat was well rendered and delicious. The slices pulled apart easily, but didn't crumble. The mac and cheese was also quite tasty. On my next visit I decided to just have a brisket plate. The server actually asked if I wanted lean or moist brisket. That surprised me, in a night club in an entertainment district, but of course I went with the moist. 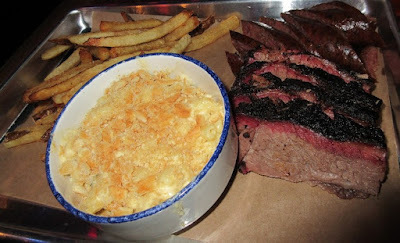 I think I actually got less brisket with the brisket plate than with the 2 meat plate. However that was my only complaint. The good smoke flavor, tenderness, and moisture were still in evidence. 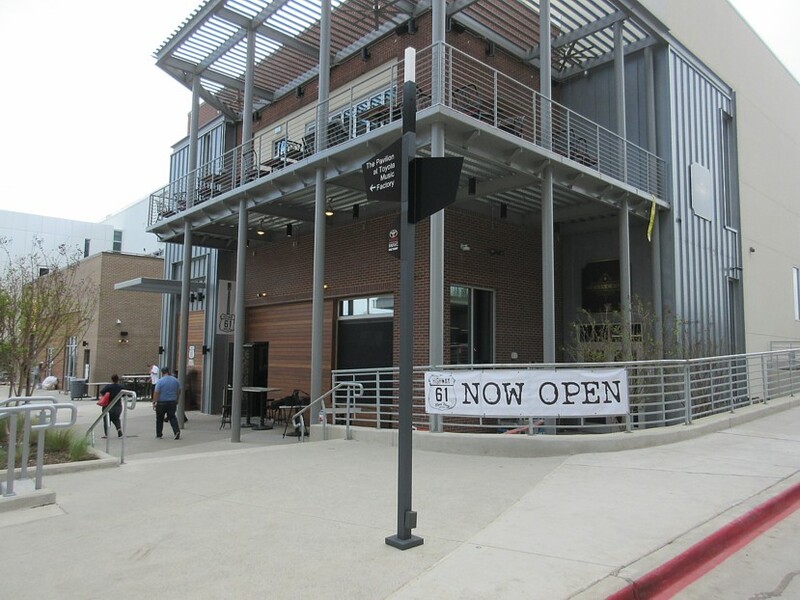 They also offer BBQ Chicken, pulled pork, and baby back ribs. I may have to try a rib plate next time I am in, but their brisket is already a step up on all but the best joints in North Texas. I heard a rumor Wayne Mueller has been consulting with the operation. However don't expect the peppery rub you find down in Taylor. They are doing things their own way and it's tasting pretty good for a new start-up. 2 more visits, April 3 and April 5. 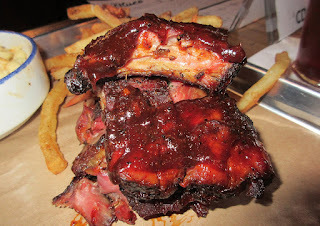 On my April 3rd visit I tried the baby back ribs. I think these were originally dry rub ribs, but for some reason they decided to squirt a bunch of sauce on top. They were slightly overcooked to falling off the bone, but the flavor and moisture was good. There was no evidence of smoke flavor. On my April 5th visit I went back to the brisket and found it was overcooked and mushy. There was still good moisture and smoke flavor but it was impossible to pick up a slice without it falling apart. I will try the brisket again, some day, but my initial enthusiasm has cooled and I think I will be checking out the non-BBQ items on the menu. 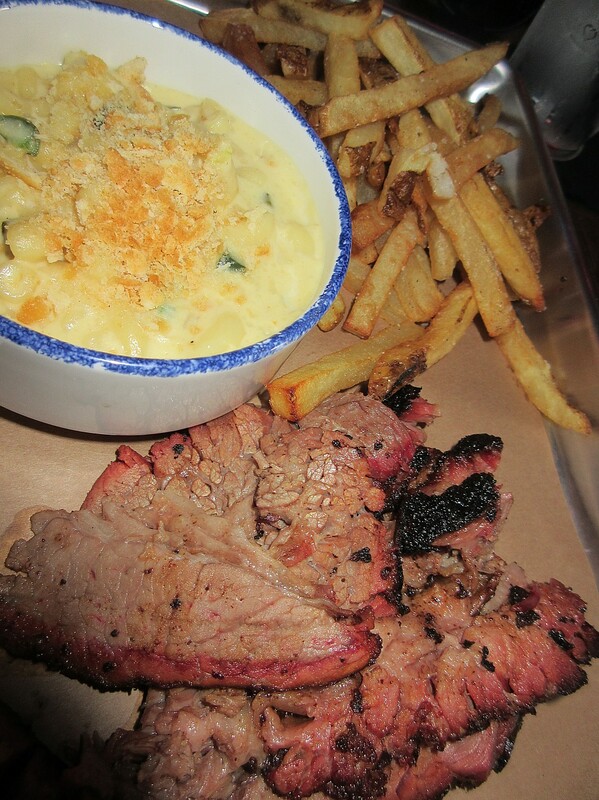 The mac and cheese has been a consistent star here, but that's not BBQ.